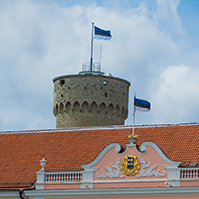 Today, the Riigikogu passed the Act on Amendments to the Commercial Code and Amendments to Other Associated Acts (location of legal person and its management board or the body substituting therefor) (347 SE), initiated by the Government. The Act creates the possibility to manage Estonian enterprises from abroad. 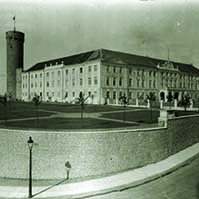 Under the current Act, both a company and the management board of an enterprise must be located in Estonia. 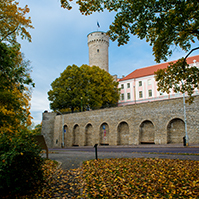 In the case when a person wishes to manage an Estonian enterprise from abroad, the enterprise will have to appoint a contact person with the seat in Estonia who may be for example a notary, advocate or auditor. Besides, an amendment creates additional possibilities for Estonian undertakings in particular for the activities of e-residents. The aim of the e-residency project is to facilitate for foreign undertakings the using of e-solutions offered in Estonia, including the establishment of legal persons and membership in the management bodies of such persons. 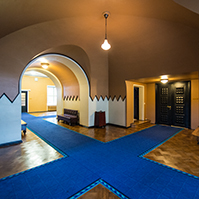 At present, the registered office of an enterprise registered in Estonia must be in Estonia. A regulation is established now that enables the management of an enterprise across the border. Undertakings will have the obligation to submit their e-mail address to the commercial register. At present, the submission of the e-mail address is voluntary. 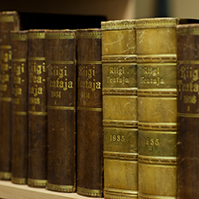 77 members of the Riigikogu voted in favour of the Act and 6 voted against. 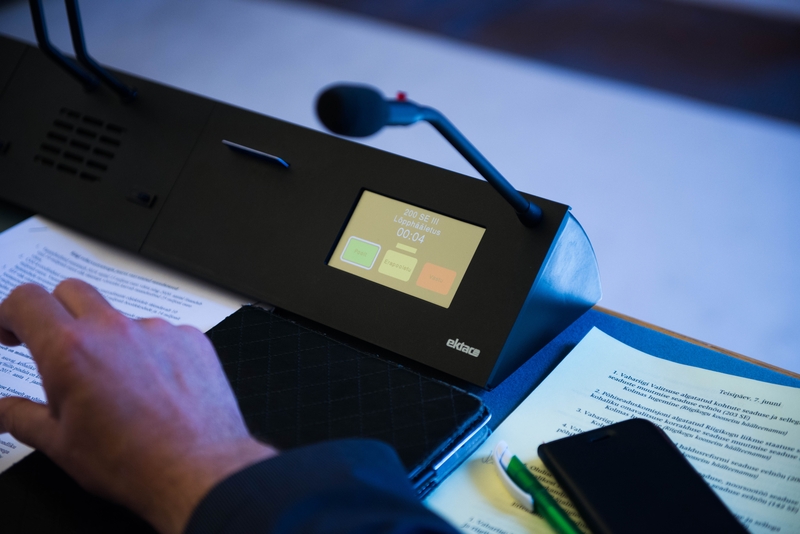 The Riigikogu approved with 63 votes in favour (6 against, 6 abstentions) the Resolution of the Riigikogu “The Fundamentals of Climate Policy until 2050” (362 OE), submitted by the Government. The European Union has committed to reducing greenhouse gas emissions by 40 per cent compared to 1990 levels by 2030, and by 80–95 per cent by 2050. The drafting of the fundamentals of climate policy has been based on these agreements. The fundamentals of climate policy are an agreement on the long-term vision of Estonian climate policy, sectoral policy objectives covering the whole economy that set out a clear route to mitigating climate change, that is, reducing greenhouse gas emissions, and at the same time adaptation to climate change, until 2050. The explicit formulation and enforcement of the policy objectives will motivate also the private sector and the society more widely to act in the same direction. The aim of the Bill on Amendments to the Employment Contracts Act and Other Acts (356 SE), initiated by the Government, is to update the working conditions for minors and to allow for more flexible employment relationships. Therefore, according to the Bill, the restrictions concerning the working time of minors will be amended. The amendments concern work which may be done by minors, the application for permission from the Labour Inspectorate for working as a minor, and the working time and daily rest time of minors. 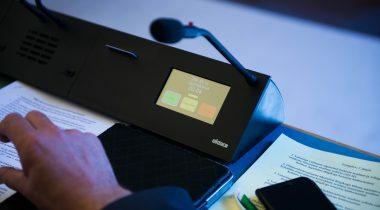 The amendments are connected with the Basic Principles of the Government Coalition for 2016–2019, according to which they will increase the opportunities of young people to participate in working life, including summer work camps, by creating additional motivation mechanisms for employers and by decreasing limitations imposed on youth employment. The explanation notes that, in the case of minors subject to compulsory schooling, in the future, working time during a quarter of an academic year and working time during a school holiday will be differentiated which is not provided for in the current law. Working time during a quarter of an academic year will be brought into conformity with the directive. Therefore, compared to the current law, according to the Bill, the working time during a quarter of an academic year will be restricted (2 hours a day and 12 hours a week) for minors subject to compulsory schooling. Under the current law, a minor subject to compulsory schooling may work for 3-4 hours a day and 15-20 hours a week, depending on his or her age. However, it will be possible to work significantly more during school holidays. For example, a 13-14-year-old or older minor subject to compulsory schooling will be allowed to work for up to 7 hours a day and 35 hours a week instead of the 4 hours a day and 20 hours a week provided for in the current law. However, in the case of a minor subject to compulsory schooling, the prohibition to work for more than a half of a school holiday will remain in force. A 7-12-year-old minor can still work for 3 hours a day and 15 hours a week during school holidays. At the same time, the specification for the working time of a 5-17-year-old minor not subject to compulsory schooling which enables to require a minor to work similarly to adults (8 hours a day and 40 hours a week) will be eliminated. Under the current law, a 15-year-old minor not subject to compulsory schooling may work for 6 hours a day and 30 hours a week, and a 16-year-old minor not subject to compulsory schooling and a 17-years-old minor – 7 hours a day and 35 hours a week. The Bill will also eliminate the types of work which may be done by 13-16-year-old minors established by a regulation of the Government of the Republic. The amendment will expand the possibility for minors to engage in various jobs and, in the future, an employment contract may be entered into with minors of that age for performing any light work suitable for their age and abilities. 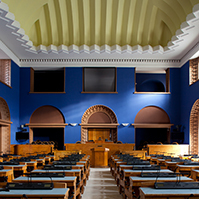 The Bill will make technical amendments to the Trade Unions Act, the Collective Agreements Act, the Employees’ Trustee Act, the Community-scale Involvement of Employees Act and the Occupational Health and Safety Act (links will be created with the Law Enforcement Act as regards supervision and application of special measures). Also, the upper limit for penalty payment provided for in in the Community-scale Involvement of Employees Act and the Occupational Health and Safety Act (3200 euro) will be brought into conformity with the upper limit for penalty payment provided for in the Law Enforcement Act (9600 euro). Six amendments were made to the Bill. The aim of the first motion to amend is to provide for the requirement of obtaining the prior consent of the labour inspector. The explanatory memorandum states that the current regulation of the Employment Contracts Act according to which the consent of the labour inspector must be obtained before hiring children under 15 years of age is in every way relevant and there is no need to change that, and that primarily in terms of children’s health and safety. The second motion to amend will not significantly change the current procedure and requirements upon hiring minors. According to the explanatory memorandum, a major amendment provides that, in the future, consent from the labour inspector will be presumed instead of the prior written consent that is required at present. According to a motion to amend, the employer will enter an employee who is a minor to the employment register ten working days before the date of commencement of employment by the minor. The employer will add information on the consent of the legal representative of the minor to commencement of employment by the minor, the conditions under which the child commences work, where the work is performed and what the duties are, and whether the child is subject to compulsory schooling. The third motion to amend omits from the Bill the special provisions initially proposed for the regulation concerning on-call time in § 48 of the Employment Contracts Act. They would have allowed deviation from the provisions concerning the daily and weekly rest time of employee with an agreement. In that regard, the current procedure will remain in force until the social partners reach a different agreement. The fourth motion to amend is a technical amendment. The fifth motion to amend adjusts the necessary elements of the regulation concerning employer’s responsibility in the case of entry into an employment contract with a minor without the consent of his or her legal representative and in the case of allowing a minor to work without the consent of a labour inspector. The sixth motion to amend concerns the date of entry into force of the Act. Heljo Pikhof from the Social Democratic Party Faction, Valdo Randpere from the Reform Party Faction, Hanno Pevkur from the Reform Party Faction and Eiki Nestor from the Social Democratic Party Faction took the floor during the debate. The Reform Party Faction moved to suspend the second reading of the Bill. 33 members of the Riigikogu voted in favour of the motion and 42 voted against. The motion was not supported and the second reading of the Bill was concluded. The deadline for submission of motions to amend is 11 April 2017 at 4 p.m.